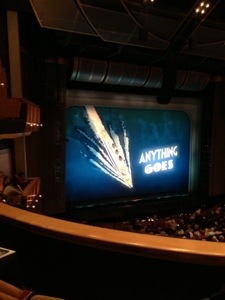 Before heading out to watch the musical, Anything Goes! !, we stopped by Hana Sushi. Rachel York and the cast were captivating in this light yet very entertaining musical set on a boat. Perfect for our happy hour sushi. 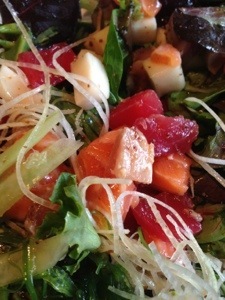 Sashimi Salad and Salmon Scallop Roll. 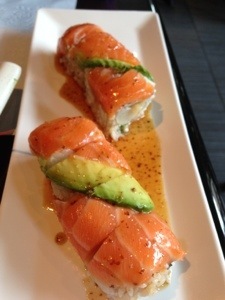 This entry was posted in Happiness Under $20 and tagged food, musical, restaurant, sushi. Bookmark the permalink.